The Small Steel Balthasar Gorget is a stylish piece of neck armour, its elegant lines and riveted detailing along the edges helping it to stand out. The steel gorget features a bright metal finish that suits medieval knights and champions. Combine this excellent neck protection with other pieces of our Balthasar-style armour to create a complete LARP ensemble. 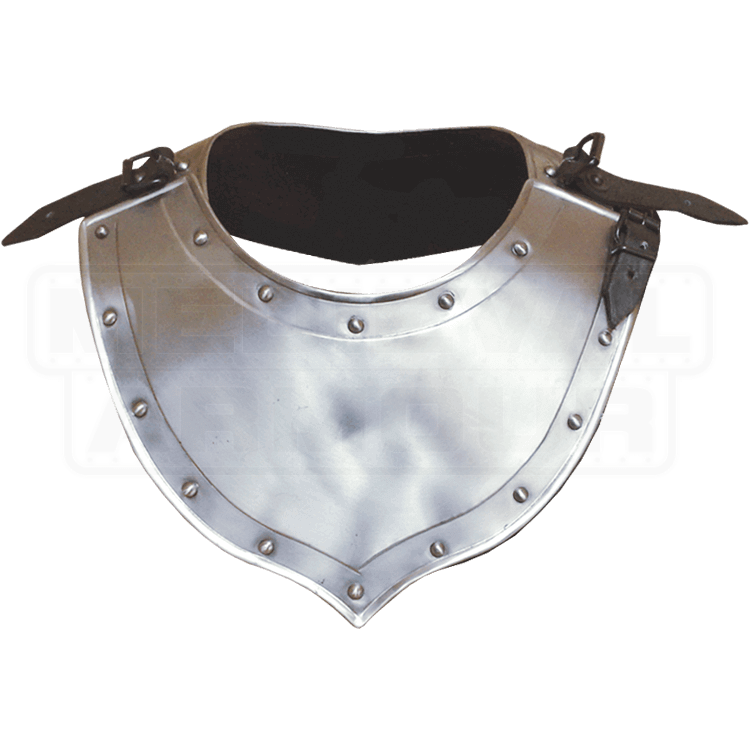 This metal gorget covers a smaller area of the shoulders and has a narrower neck opening than the larger version (MY100050), making it ideal for warriors with smaller builds and adolescents. We recommend wearing a padded collar or mantle underneath this plate armour for additional comfort. Prepare for your next re-enactment by bringing home this excellent steel armour.